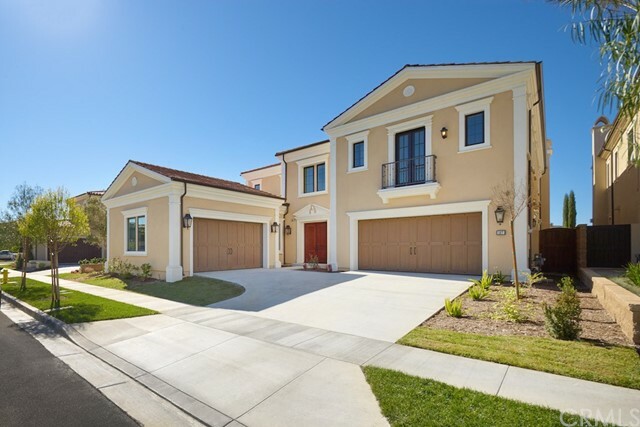 All Laguna Altura homes currently listed for sale in Irvine as of 04/19/2019 are shown below. You can change the search criteria at any time by pressing the 'Change Search' button below. "Best location! 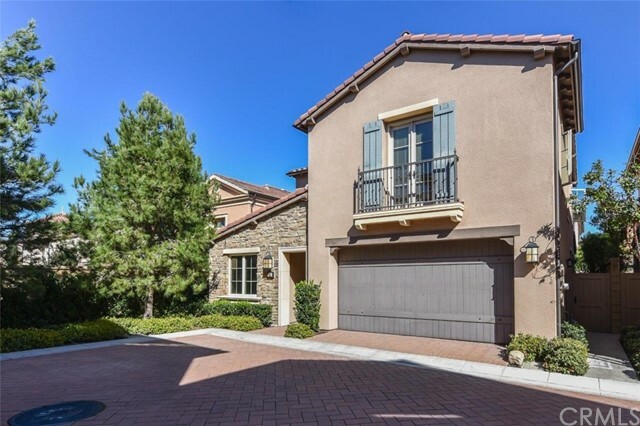 Nestled within Irvine s Highly Exclusive 24/7 Guard Gated community of Hidden Canyon, this desirable Marbella Manhatten estate home is located at the top of Hidden Canyon and boasts beautiful city lights and hillside views. This estate home from acclaimed Toll Brothers offers 6 spacious bedrooms with en suite bathrooms, including a detached, private guest casita. 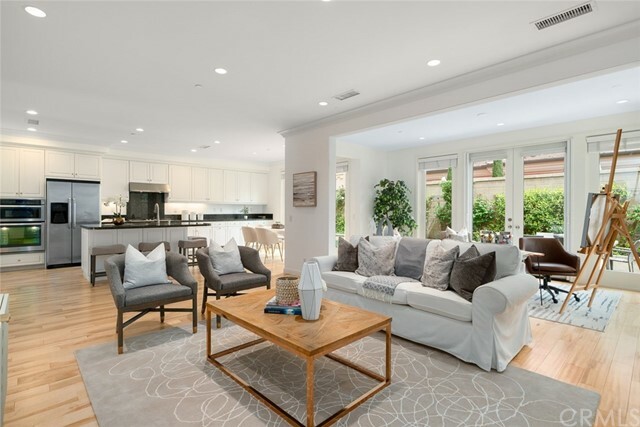 Designed for everyday living and entertaining, the approximate spacious 6,000 square feet features an open concept layout allowing each room to seamlessly flow to the next. Award Winning 10-Point Irvine Schools, quick and convenient access to I-5, 405, 133 freeways. 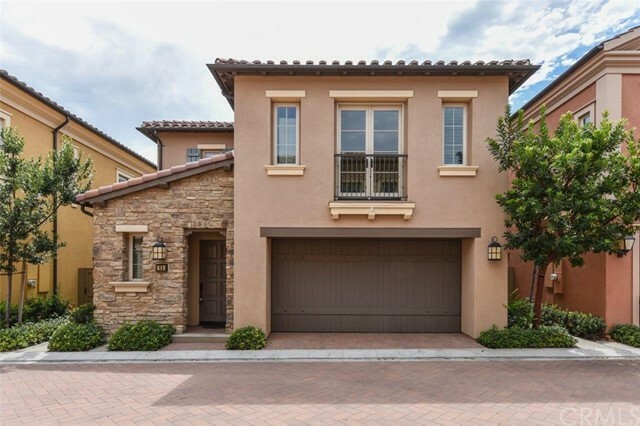 Come home to the peace and quiet that is Hidden Canyon, with gentle coastal breeze from neighboring Laguna Beach and Irvine s open space nature preserve, while still within minutes from the city." "Discover Ultimate Luxury THE BEST VIEW LOT IN ALL OF HIDDEN CANYON, Orange County. Our Prestige Marbella Collection Santa Monica Residence Classic home presented by Toll Brothers HAS NEVER BEEN LIVED IN and is the largest floor plan in ALL of Hidden Canyon! The home is situated on a Premier Lot Location with Panoramic City Light, Hillside, and Pool Views from Every Vantage Point! The Residence is sited atop a 8,695 Sq. Ft. Lot and features 5BD 5.5BA 3-CAR Garage plus an Upstairs Bonus, Main Level Conservatory Room, and 5,923 Sq. Ft. of decadent indulgence! Grandeur in architectural design, the home offers the Finest Indoor Outdoor Living Elements including a Double Floating Staircase, Dual Sets of Pocket Sliding Glass Doors, Double Kitchen Islands, Security Package, Marazzi Oak Norwood Porcelain Tile Flooring, Rich Shaw Butterfly Bonnie Carpeting, California Closet System Upgrade, and a Luxury Outdoor Retreat with Covered Patio, Outdoor Fireplace, and Built-In Surround Sound System! Chef-Inspired Gourmet Kitchen with Caesarstone Countertops, Floor-to-Ceiling Extended Bologna Door Coffee Stained Glass-Fronted Cabinetry, Custom FULL Ceramic Backsplash, and ALL Top End Stainless Steel Appliances! World-Class Amenities exclusive to residents 24 Hour Staffed Gated Entrance, Junior Olympic Pool, Clubroom, Cabanas, and Hiking/Biking Trails! Award-winning Irvine Unified School District and minutes from Irvine Spectrum Center, Quail Hill Shopping Center, and Laguna Beach!" "Nestled in a quiet cul-de-sac of the gated Hidden Canyon neighborhood, Marbella Collection Cassis Residence. Rests this beautiful 4,930 Sq. Ft. home sitting upon a huge 9,311+ Sq. Ft. lot just a short walk from the community center and park.High ceilings, a designer kitchen equipped with Wolf appliances, upgraded countertops and oversize island, Formal living room, office, bedroom with en suite and powder room round out the first floor. Just atop the staircases, a secluded master bedroom with a big deck offers an even more breathtaking view of the city. The oversized sleeping area, designer bathroom and walk-in closet. An additional three bedrooms with big retreat easy to convert to 5 bedrooms, 5.5 bathrooms.a spacious laundry room and large loft area provide plenty of upstairs living space.Two separate garages,provides space for 3 cars. Convenient access to the 133, 405 and 5 freeways and a short drive to shopping centers, Irvine Spectrum and Laguna and Newport beaches. 24/7 guarded, gated community with features including a swimming pool and spa, resort-style club houses, and fully-furnished cabanas. World-class Irvine University High School District." "Luxury awaits! This highly sought after 5 bed, 5.5 bath, two-story home boasts an open floor plan and top-of-the-line finishes, this home will not disappoint! Cook to your heart's content in the chef-inspired kitchen, featuring not one, but two kitchen islands, a breakfast nook, Sub-Zero refrigerator and professional grade appliances. The master bedroom features a formal sitting retreat and the master bathroom features a walk-in closet, soaking tub, dual vanities, and frameless glass shower. Enjoy family gatherings in the spacious living room surrounding the fireplace while taking in breathtaking views of the lush green hills and clear blue skies. The living room features moving glass walls leading out to the outdoor patio creating a true California indoor/outdoor living experience. The backyard features a private putting turf overlooking the sweeping views of Irvine. This gorgeous residence is located on a private and quiet street. All furniture is included in the sale of the home. This rare beauty is a must see!" "BEAUTIFUL DETACHED HOUSE IN 24 HOURS GUARD GATED COMMUNITY ,4 BEDROOMS AND 3.5 BATH, MAIN FLOOR HAS ONE BEDROOM SUITE WITH OWN BATHROOM, FORMAL LIVING ROOM AND DINING ROOM, OPEN KITCHEN WITH ISLAND, GRANITE COUNTER TOP, WHITE CABINETS, WALK IN PANTRY, LIGHT AND BRIGHT , A LOTS WINDOWS, VERY NICE MASTER SUITE WITH WALK IN CLOSET , LUXURY TUB AND SHOWER ROOM, DOUBLE SINKS, SECOND BEDROOM AND THIRD BEDROOM SHARE ONE FULL BATH, TWO ATTACHED GARAGE, VERY PRIVATE BACK YARD, ENJOY ALL THE AMENITIES, POOL, SPA, BASKETBALL COURT, CLUBHOUSE, BBQ PICNIC AREA, VERY PRIVATE COMMUNITY, WAKING TRAILS, ONLY 8 MILES TO LAGUNA BEACH, EASY ACCESS TO FREEWAY 405,133,5, SHORT DISTANCE TO IRVINE SPECTRUM, UNIVERSITY HIGH SCHOOL." "Enjoy the best of resort-style living at Laguna Altura Our Cul de Sac LOT, most highly sought after floor plan San Remo Collection Residence 3X (extra square footage) Tuscan features 4BD (one main level), 3BA, 1 powder room, and approx. 2,279 Sq. Ft of luxury interior indulgence! The home offers high-end Hickory hardwood flooring, white cabinetry, in-ceiling surround sound prewire, water softener, home security alarm system prewire, and granite epoxy garage flooring with curbs! ALL stainless steel appliances, and walk-in pantry! Enjoy world-class amenities exclusive to residents --parks, full court basketball, junior olympic pool, spa, clubroom, and BBQ picnic destinations. 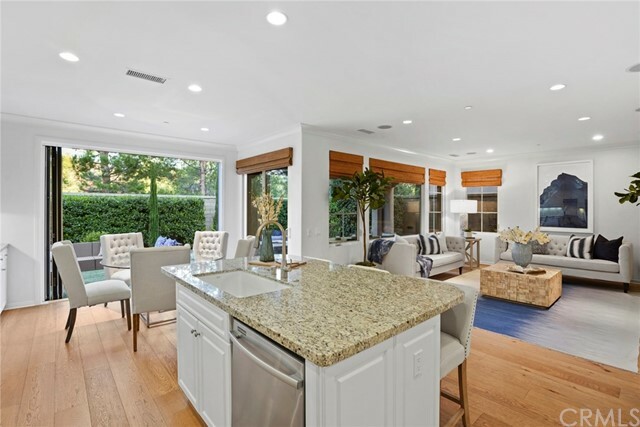 Award-winning Irvine unified school district (zoned University High), and just minutes from dining destinations at the Irvine Spectrum Center, Quail Hill Shopping Center, John Wayne Airport, Kaiser Permanente, Laguna Beach, and connecting freeways (I-405, I-5, 73, & 261)!" "INSIDE CORNER LOT HOME with no neighbors on ONE SIDE! Discover refined luxury in Southern California s centrally located guard-gated Irvine destination, Laguna Altura Our PRIVATE San Remo Collection Residence 3X Classical features 4BD (One Main Level) 3.5BA and approx. 2,129 Sq. Ft of decadent interior indulgence! The home offers uncommon experiences at every turn including Hickory Kahlua Wide Planked Hardwood Flooring, Upgraded Carpeting, Deluxe Custom Fitted Plantation Shutters & Window Shades, White Cabinetry, Crown Molding, and Recessed Lighting! Chef-inspired gourmet kitchen with Granite Countertops & Backsplash, Walk-In Pantry, and ALL Stainless Steel KitchenAid/Whirlpool Appliances (including Stainless Steel Sink & Faucet)! Master Suite offers Private Treetop Views and an abundance of Natural Light! A lifestyle opportunity for outdoor living Expansive Backyard with Chiseled Travertine Stone Hardscape, Lush Landscape, Outdoor California Room, & no neighbors to ONE SIDE! Enjoy world-class amenities exclusive to residents --parks, full court basketball, junior olympic pool, spa, clubroom, and BBQ picnic destinations. 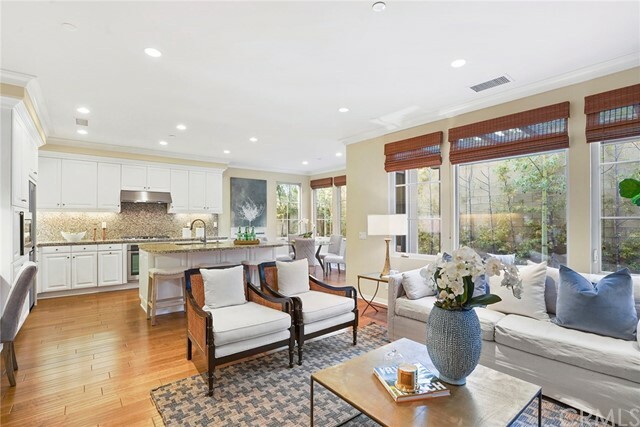 Award-winning Irvine unified school district (zoned University High), and just minutes from dining destinations at the Irvine Spectrum Center, Quail Hill Shopping Center, John Wayne Airport, Kaiser Permanente, Laguna Beach, and connecting freeways (I-405, I-5, 73, & 261)!" "ONE of a FEW homes in Laguna Altura with ACCORDIAN BI-FOLD DOORS! Our Exceptional San Remo Residence 1 Tuscan defines Indoor/Outdoor living at its best! Situated on a RARE Private Lot with NO HOMES BEHIND and Expansive Backyard, the home features 3BD 2.5BA and 1,878 Sq. Ft of decadent interior indulgence! The home offers Premier Designer features throughout including Wall-to-Wall Folding Sliding Glass Doors in Dining Room, Provenza Fallen Timber Siberian Oak Hardwood Flooring, Built-In Surround Sound, White Cabinetry, Custom Fitted Plantation Shutters & Shades, and Recessed Lighting! Chef-Inspired Gourmet Kitchen with Granite Countertops and FULL Decorative Ceramic Backsplash, and ALL Stainless Steel Appliances. A lifestyle opportunity for outdoor living BI-FOLD DOOR Access to Private Backyard, California Room, Artificial Turf Greenbelt, Custom Water Feature, Custom Fire Pit, Custom Brick Inlay Pavers, Uptree Lighting, and Professional Landscaping (including Mature Cypress Trees)! Enjoy world-class amenities exclusive to residents --parks, full court basketball, junior olympic pool, spa, clubroom, BBQ picnic destinations, and paved trail access to Los Olivos Shopping Center. 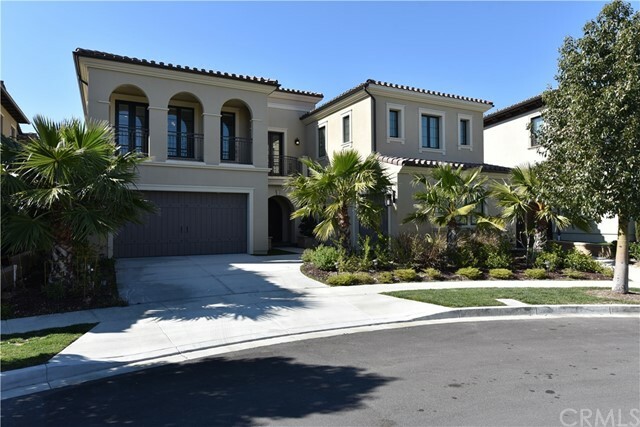 Award-winning Irvine unified school district (zoned University High), and just minutes from dining destinations at the Irvine Spectrum Center, Quail Hill Shopping Center, Los Olivos Shopping Center, John Wayne Airport, Kaiser Permanente, Laguna Beach, and connecting freeways (I-405, I-5, 73, & 261)!" "Explore a World of Infinite Possibilities at Laguna Altura, Irvine Orange County s Coastal HOT SPOT destination is centrally located and situated on the cusp of Laguna Beach with easy access to all connecting freeways! Our Siena Collection Residence 2 Tuscan presented by Irvine Pacific features PEEK-A-BOO Hillside views, 3BD 2.5BA and approx. 1775 Sq. Ft of interior indulgence! The home offers Hardwood Flooring, Deluxe Custom Fitted Plantation Shutters & Window Shades, White Cabinetry, Crown Molding, and Recessed Lighting! Chef-inspired gourmet kitchen with Granite Countertops & FULL Backsplash, Expansive Kitchen Island and ALL Stainless Steel KitchenAid/Whirlpool Appliances! A lifestyle opportunity for outdoor living Ceiling Fan with Light, Professional Hardscape, and Professional Landscaping! Enjoy world-class amenities exclusive to residents --parks, full court basketball, junior olympic pool, spa, clubroom, and BBQ picnic destinations. Award-winning Irvine unified school district (zoned University High), and just minutes from dining destinations at the Irvine Spectrum Center, Quail Hill Shopping Center, Los Olivos Shopping Center, John Wayne Airport, Kaiser Permanente, Hoag Hospital, Laguna Beach, and connecting freeways (I-405, I-5, 133, 73, & 261)!" "Price reduced!!! Location, Location, Location!!! Located in 24-hour Guard-Gated Laguna Altura , Resort-Like Coastal Community, This elegant 3 bedroom, 2.5 bath home is a San Ramo collection, Plan 1. Boasting an Open & Bright floor plan, Offers Big windows and doors bring in plenty of natural light, Modern gourmet kitchen, Large Cesar stone counter top, Walking-in pantry, Customized plantation shutters , Recess lights, Hard wood floor through out the first level. Laguna Altura is the most desired community and offers the Beauty and Prestige of Coastal Canyon Living and WorldClass Amenities exclusive to residents --Parks, Full Court Basketball, Junior Olympic Pool, Clubroom, and BBQ Picnic destinations. easy access to DISNEYLAND, 133/405/5 frwys, Award-winning Irvine Unified School District, and just minutes from Irvine Spectrum Center, Quail Hill Shopping Center, John Wayne Airport, South Coast Plaza, Fashion Island, Laguna Beach and Newport Beach!"